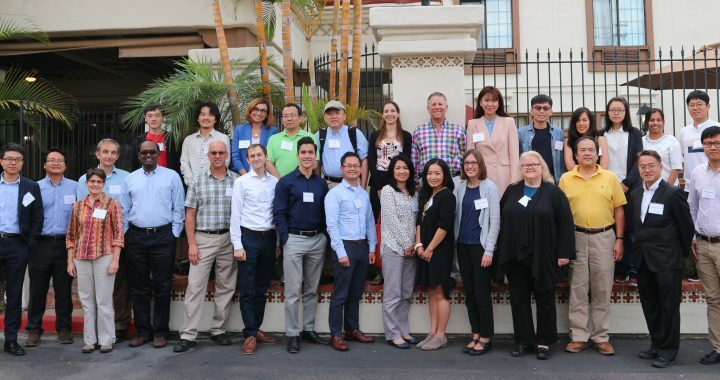 The Center for Human Dynamics in the Mobile Age (HDMA) hosted another successful Summer Specialist Meeting entitled “Social Media Analytics and Decision Support Systems: Applications to Public Health and Crisis Management” on August 15 and 16, 2017 in San Diego. The specialist meeting (workshop) was co-funded by the National Science Foundation (NSF) project award #1416509, IBSS: Spatiotemporal Modeling of Human Dynamics Across Social Media and Social Networks and award #1634641, IMEE: Integrated Stage-Based Evacuation with Social Perception Analysis and Dynamic Population Estimation. The goal of the workshop was to foster the multidisciplinary collaboration in related research disciplines, including geography, linguistics, computer science, political science, public health, civil engineering, and communication. The workshop brought together over 30 specialists drawn from many disciplines to assess the current state of the art technologies and tools for studying social media analytics and decision support systems, identify and prioritize a research agenda, and begin the development of a research community of collaborating scholars working on these Big Data, social media, and decision support systems (DSS) issues. Over 30 participants from multiple disciplines participated in the summer workshop. Dr. Tsou introduces the goals of the summer workshop to participants.